At the height of the financial crisis in 2009, the financial system of Cyprus imploded. Two of the country’s biggest banks were wound up, the country was forced to take on a multi-billion euro emergency loan and bank withdrawals were frozen to avoid a banking exodus by citizens. That probably doesn’t sound too outrageous – even the US had banks falling over during that recession. But here’s something a lot of people don’t know about the crisis in Cyprus. The government made the citizens pay for the country’s debt. Because the banking industry was in such a dire state, the Cyprian government enacted a law that allowed them to use citizen money to help keep the country afloat. Here’s what happened: regular depositors, just like you and me, had the money in their bank accounts frozen. The government then took that money, without consent, to prop up the country and stop it from going bankrupt. Anything over the government-guarantee limit of 100,000 euro was fair game. If you had a million euros in the bank, the Cyprian government was entitled to 900,000 of it, and could take as much or as little as they “needed” to keep the country from going under. In the end, they decided on 48%. If you had a million euros in a Cyprus savings account in 2009, it would have been reduced to 568,000 euros overnight. Some depositors were given shares in the bank in exchange. Some depositors in smaller banks got nothing. But this is even scarier: New Zealand has the exact same law. Let’s say the world goes into recession tomorrow and things get really bad around here – maybe all our sheep get sick and nobody wants our milk anymore and the All Blacks start losing. If it gets bad enough, the Reserve Bank has a law that allows them to dip into our bank accounts and take whatever they need. But things could be even worse than in Cyprus, because Cyprus had a 100,000 euro government guarantee. If you had 20,000 in a savings account, the government couldn’t touch that. In New Zealand there’s no such law. The government can take your last $5 if they want to. If a NZ bank is at risk of failure, the government will take over and freeze your deposits. There is no minimum deposit guarantee so none of your money is safe. They will use as much of your money as needed to prop up the bank, maybe none of it, maybe all of it. They’ll return the rest when the bank is no longer at risk of failure. This type of bail-in law is not uncommon – it’s in place in many countries in the world. Yet most countries have a minimum deposit guarantee. In Cyprus, 100,000 euros for each citizen was protected. In Australia, it’s $250,000. In the US it’s $100,000. But New Zealand has no guarantee at all. It’s the only developed country that guarantees zero of its citizen’s bank deposits. They can take everything. Of course, our politicians and bankers will tell you this will never happen. But we’re not dummies. If they know it’s never going to happen, why would they have made the law in the first place? It can happen and they know it. The chance of a New Zealand bank going under is small. Most of our banks are owned by Australian banks anyway, which are quite heavily regulated. Also, you might remember during the financial crisis in 2008, the New Zealand government did enact a temporary deposit guarantee to stop people from freaking out, and they did actually end up paying out depositors of nine failed finance companies under that scheme. The guarantee ended in 2010, but we can hope that if the world plummets into the dark ages again they might bring it back. Also remember, the financial crisis didn’t hit New Zealand that hard. I only know one person who lost their job, I don’t know anyone who lost their home. Other than the chaos we saw on the news from overseas, nothing much changed in my life in New Zealand except for the share market taking a dive. If a bigger, badder recession hits, who knows what could happen. At the very least, spread your deposits over several NZ banks. Most have free savings accounts anyway, so it’s easy enough to do. You might have heard purists saying “gold is real money”. The thing that makes gold valuable is it has universal value. It can’t be seized by banks or the government. You can take it anywhere in the world and exchange it for money. If you were in Cyprus and had a million euros in gold bars instead of in the bank, you would have still been a millionaire at the end of the recession. People love gold because you have full control over it, and no government can tell you how much it’s worth or what to do with it. That’s why the gold price generally tends to spike during deep recessions. The safest way to invest in gold is to actually buy coins or bullion yourself and store it in your home. Entrusting the safety of it to a bank in a safety deposit box can somewhat defeat the purpose, so it’s best to actually hold the gold yourself. MyGold and the NZ Mint are two common places to buy gold in New Zealand. Remember to check the premium before you buy any gold. In New Zealand, coins and bars usually get sold at a 5% premium to the spot price. Another way to invest in gold, which is what I prefer, is to buy shares in a gold ETF. The government cannot seize shares just like it cannot seize gold. The problem with gold shares is you don’t actually have the gold in your hands, you’re still dependent on a third party to come through with your gold when the time comes. But, in terms of ease and practicality it’s a good option. Here’s a good breakdown of gold ETFs in Australia (there are none in New Zealand). A third option is to buy gold jewellery. The problem with gold jewellery is, unlike 1oz coins and gold bars, there’s no standard measure. A gold dealer will immediately know how much to pay you for a half ounce gold coin with a certificate, but a gold chain will need to be assessed which will cost you even more money. But it’s a cool addition to your investment portfolio if you’re an avid gold collector. You can choose one or a combination of these options, depending on how bad you think things might get. Bitcoin has been termed digital gold, because it shares many of the same characteristics as gold. It is finite, scarce, needs to be mined (electronically), has a standard universal value, fungible, global, divisible. It also has some advantages over gold – it can be sent anywhere in the world easily and almost for free, it can be divided into extremely small amounts, it can be stored digitally online, and it can be mined anywhere by anyone with internet and electricity. 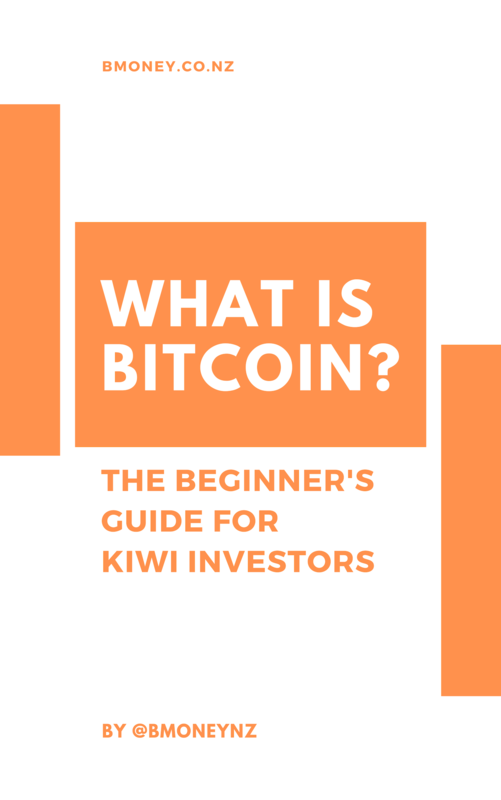 While Bitcoin is highly volatile, it still has all the characteristics of a store of value and is used as such. Depending on your risk profile it could be a good way to diversify your savings. In fact, the legendary investor Peter Thiel (Facebook, Paypal, Xero) went so far as to say Bitcoin will be the gold of the future, and has put several million dollars on it. 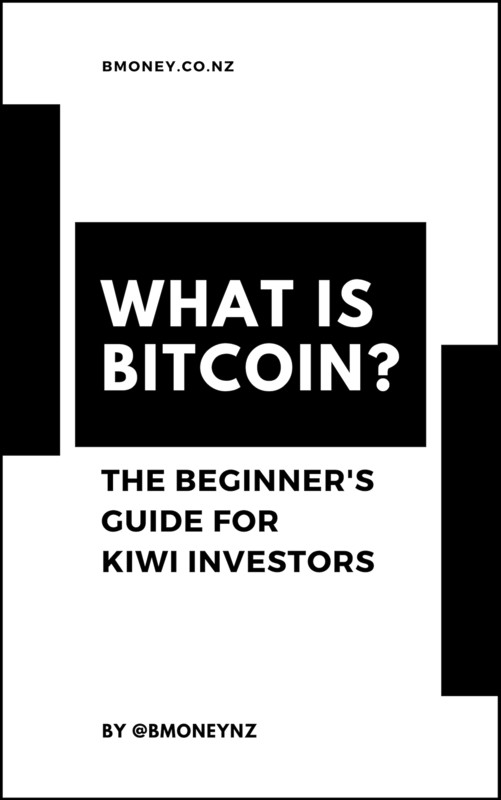 A good place to buy Bitcoin in New Zealand is on Independent Reserve – a leading exchange in Australia that allows trading in NZD. This is a great way to protect your savings, although it’s not always possible for many New Zealanders. In my opinion the best option is to move some money to Australia. It’s perfectly legal for New Zealanders to have bank accounts in Australia and hold savings there. Because Australia has a deposit guarantee scheme, any savings up to $250,000 AUD will be protected by the government in the event of a banking collapse. That’s $250,000 more than New Zealand. My favourite Australian bank is NAB because of their zero-fee account (that’s the one I have). If you’ve also been on an OE or working holiday somewhere overseas and still have your bank account, check out whether the government has a deposit guarantee scheme. Could be a good way to diversify your savings. While the government has free reign on your bank deposits, it can’t seize things like shares and property. The catch is, in a recession the prices of shares and property usually plummet. In those situations it’s actually a good idea to have large amounts of cash to take advantage of low priced assets. In 2008-2009 I put most of my savings into the sharemarket which has given a great return over the last ten years. If you invest in assets before the recession hits to protect your deposits, it means you won’t have the liquidity to scoop in for those low-priced shares and real estate. If you’re confident what you’re investing in can provide high yields and weather the recession, it might be a good investment. That’s where your investing savvy comes in. You need to make a call. Only you can decide what the best allocation for your capital is!